Kinshasa 16-04-2018 Politics - In his comment of the orders made public, the Minister in charge of Justice specifies that these changes proceed of the determination of the President of the Republic to change the congolese judicial. 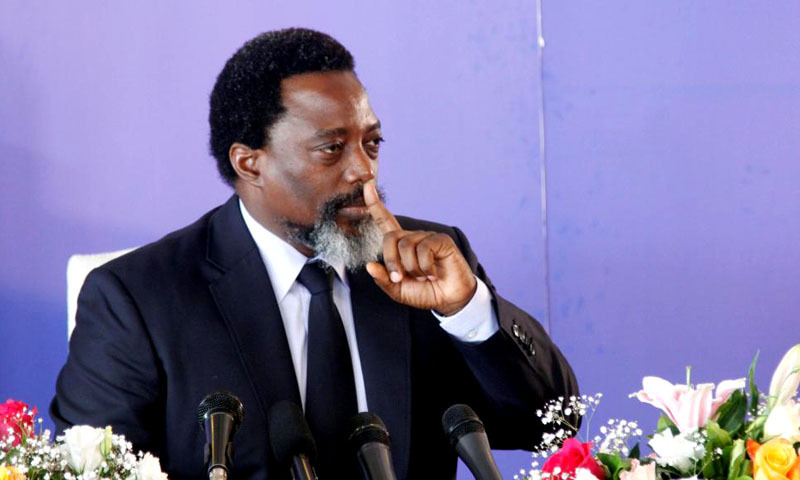 The President of the Republic, Joseph Kabila Kabange, signed on April 14, 2018, a series of orders of legal organization carrying compulsory resignation of the civil magistrates of the seat and the civil magistrates of the public ministry. These orders also carry voluntary resignation of a civil magistrate of the public ministry, compulsory resignation of a civil magistrate of the seat including a retirement of a military magistrate of the public ministry. Other orders of legal organization also signed at the same date carry "on the statement anticipated of the functions of magistrate, like appointment of the civil magistrates of the public ministry, of the substitutes of the military listener of garrison, the civil magistrates of the public ministry and the seat. In his comment of the aforesaid orders makes the same day, the Minister responsible of Justice specified that these changes proceed of the determination of the President of the Republic to make a change in the congolese judicial. "These Presidency’s orders show its will to clean the Magistrature as elite body", Alexis Thambwe Mwamba declared. And to add: "One does not enter into the Magistrature with the idea to be made money. Rather, with the determination of saying the right."